Reporters at ESPN, Turner Sports, and Yahoo will not be tipping picks on Twitter during tonight’s NBA Draft, as reported by intrepid New York Times cub reporter Kevin Draper. The reason is that all three of those media companies are partnering with the NBA on the actual broadcast, which creates incentives that don’t always align with their reporters’ incentives to report NBA news as soon as they have it in hand. It’s an awkward dance, in that sense. 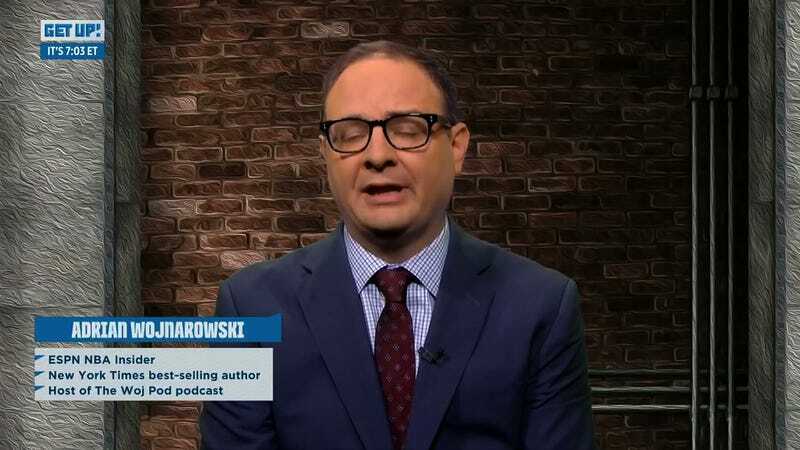 Did Woj include the words “taking shape” as a polite workaround to the gag order? Is it a straight-up middle finger to his employer? Is it a psyop coordinated by Kings GM Vlade Divac? Perhaps Woj excluded the team that picked fourth to leave one shred of intrigue to the draft he just laid out.